Harry is a dairy farmer with a keen sense of observation. He watches his animals and his farm, the birds on his land and his neighbour, single mother Betty. Over years, he and Betty develop a quiet relationship, with Harry finding a place in the kitchen for meals and Betty’s son helping Harry with the milking. But as the boy moves in adolescence, Harry feels the need to provide fatherly advice in whatever limited manner that he can. There is something about awkward relationships that I love in books. When a situation potentially has a simple solution, but the characters are so well drawn and flawed that there is no chance they can get there. It is frustrating, but only because I wanted to step in and fix the problem because I really cared for them. Then there are the other characters who we just get a glimpse of, but that leave a deep impression. 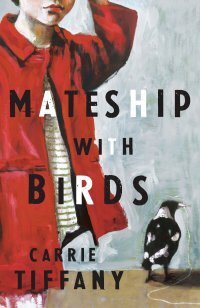 And, of course, the character that gently dominates the book – the Australian countryside and the animals that inhabit it. Such beautiful writing that takes me away from the city and into another world and another time.